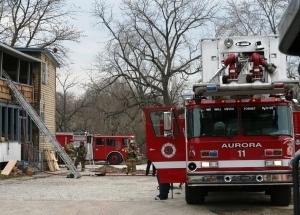 (Mutual Aid Box Alarm System) in partnership with IEMA (Illinois Emergency Management Agency) have established a statewide, non-discriminatory mutual aid response system for fire, EMS and specialized incident operational teams. Sharing the effort are representatives from the Office of the State Fire Marshal, Department of Public Health - EMS Division and Illinois Fire Chiefs Association. The system defines a resource response plan to any location within the state when the Governor orders a Declaration of Disaster. 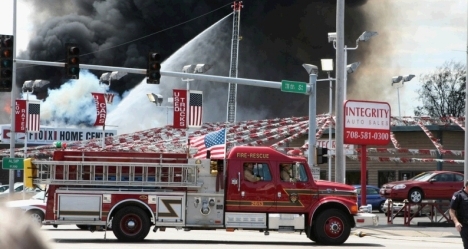 MABAS (Mutual Aid Box Alarm System) in partnership with IEMA (Illinois Emergency Management Agency) have established a statewide, non-discriminatory mutual aid response system for fire, EMS and specialized incident operational teams. Sharing the effort are representatives from the Office of the State Fire Marshal, Department of Public Health – EMS Division and Illinois Fire Chiefs Association. The system defines a resource response plan to any location within the state when the Governor orders a Declaration of Disaster. A Memorandum of Understanding was signed on January 16, 2001, a first in Illinois history. Historically, IEMA has had the capability through state resources and assets to support disaster stricken communities in all areas except Fire, EMS, Technical Rescue, Urban Search and Rescue, and Hazardous Materials Operations Teams. Illinois assets like State Police, Department of Transportation and numerous other state assets are able to mobilize under the direction of the Governor in response to a disaster. 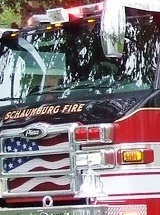 Since Illinois does not own its own fire department, EMS ambulances or specialized operations, a substantial “system” resource within the control of the state was lacking. The plan provides a system of “one-stop shopping” for IEMA officials to activate and mobilize fire, EMS and special operations assets through MABAS. 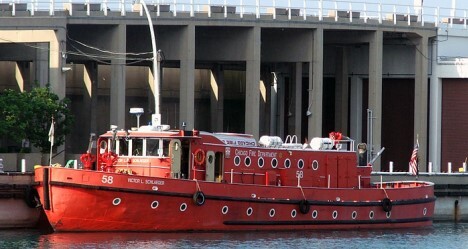 MABAS is a mutual aid system, which has been in existence since the late 1960s. 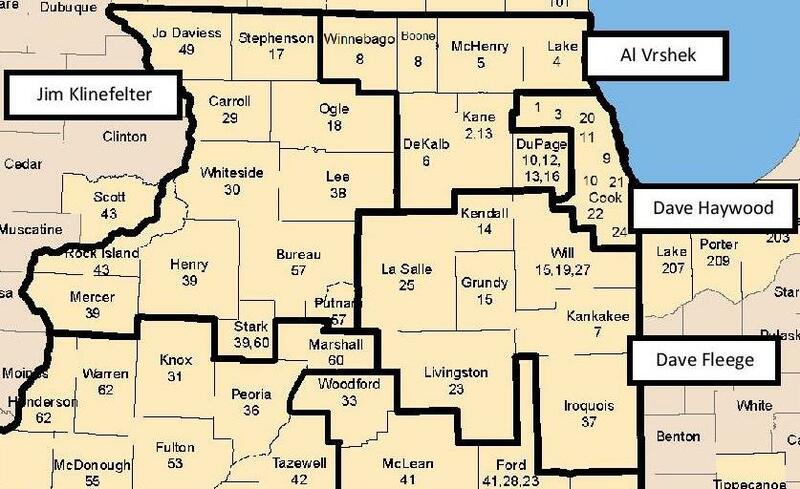 Pre September 11th, MABAS was heavily rooted throughout northern Illinois. Since September 11th, MABAS has rapidly grown throughout the State of Illinois and Wisconsin, and parts of Indiana, Iowa and Missouri. Day-to-day MABAS extra alarms are systematically designed to provide speed of response of emergency resources to the stricken community during an ongoing emergency. Declaration of Disasters are not required for routine, MABAS system activation's. 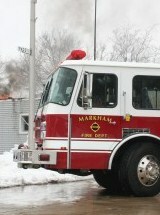 Today MABAS includes approximately 1,100 of the states 1,200 fire departments organized within 62 divisions. MABAS divisions geographically span an area from Lake Michigan to Iowa's border and south almost into Kentucky. Eight Wisconsin divisions also share MABAS with their Illinois counterparts. The cities of Chicago, St. Louis, and Milwaukee are also MABAS member agencies. Interest is also becoming evident from the Iowa, Indiana, and Michigan. 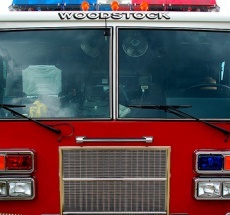 MABAS includes over 37,000 of Illinois’ 40,000 firefighters who staff emergency response units including more than 1,300 fire stations, 1,800 engine companies, 389 ladder trucks, 831 ambulances (mostly paramedic capable), 278 heavy rescue squads, and 647 water tankers. 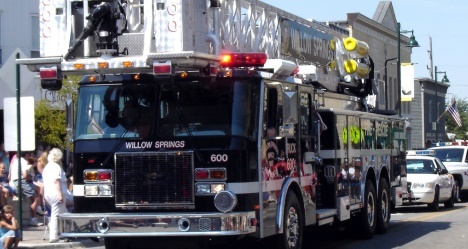 Fire/EMS reserve (back-up) units account for more than 1,000 additional emergency vehicles. MABAS also offers specialized operations teams for hazardous materials, underwater rescue/recovery, technical rescue and incident management teams. An additional element of resource are the certified fire investigators which can be “packaged” as teams for larger incidents requiring complicated and time-consuming efforts for any single agency. MABAS is a unique organization in that every MABAS participant agency has signed the same contract with their 1,100 plus counterpart MABAS agencies. As a MABAS agency, you agree to: standards of operation, incident command, minimal equipment staffing, safety and on-scene terminology. MABAS agencies, regardless of their geopolitical origin, are able to work together seamlessly on any emergency scene. All MABAS agencies operate on a common radio frequency (IFERN) and are activated for response through pre-designed “run” cards each participating agency designs and tailors to meet their local risk need. 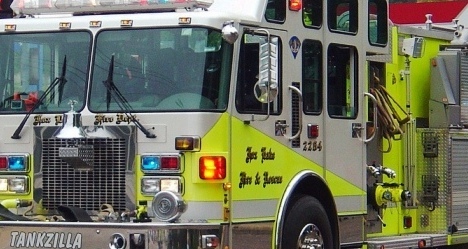 MABAS also provides mutual aid station coverage to a stricken community when their fire/EMS resources are committed to an incident for an extended period. MABAS extra alarms are commanded by the stricken community and dispatch control is handled through the stricken community’s MABAS division center. Over 800 MABAS extra alarm incidents occur annually throughout the 62 divisions of Illinois MABAS. The expansion of mutual aid to a statewide system doesn’t require all municipalities and fire districts to join MABAS as a member agency. Existing Illinois statute regarding a Declaration of Disaster allows the Governor to mobilize state assets under the direction of IEMA. Through a memorandum of understanding between IEMA and MABAS and other intergovernmental consortiums, fire, EMS and special operations resources can be activated as a State of Illinois asset when a Declaration of Disaster is initiated. Activation of the Statewide Plan through IEMA is designed to provide quantity of response for sustaining operations indefinitely. Upon the direction of IEMA, subsequent to a Declaration of Disaster, Fire, EMS and special operations resources can be mobilized as state assets. As a state asset, resources mobilized are afforded liability and workman’s compensation coverages. Further, any and all costs beyond normal operations experienced by fire, EMS and special operations will be reimbursed by the State of Illinois through IEMA. To assure clarity, reimbursement for an IEMA-directed mutual aid resource might include overtime related to the incident, an off duty personnel recall to maintain levels of service which were reduced due to the response, expendables, consumables and damage directly related to the Declaration of Disaster. Functionally, a Statewide Mutual Aid Resource Flow Plan is currently published (signed January 16, 2001) and operational for emergency response. All MABAS divisions and non-MABAS major population centers throughout the state have been involved in providing information, completing survey questionnaires and concept discussions. Cooperative consortiums such as CART (Combined Area Rescue Team) are also involved as resources within the plan. 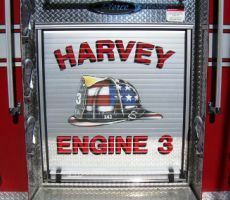 Certainly, as the plan is implemented, many more participant agencies will be involved as the “total force” concept of statewide fire, EMS and special operations becomes reality for Illinois. Illinois faces many challenges from natural, manmade and technological threats to citizen safety. Over time we have become a sophisticated society but we continue to see disasters. Every community now has the newest threat of disaster to deal with – domestic terrorism, the delivery of a weapon of mass destruction which will certainly tax the entire state’s resources. MABAS is working with numerous other states, federal and local agencies through IEMA’s coordination to prepare for our newest threat - State mutual aid of fire and special operations resources. 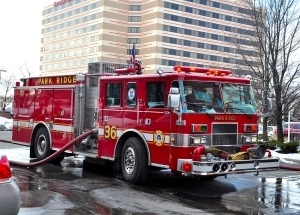 On a daily basis, communities face emergencies which overtax their local fire/EMS and special operations capabilities. Often the “local” crisis doesn’t warrant the state’s Declaration of Disaster and its accompanying statutory powers. Without a Declaration of Disaster, the Statewide Mutual Aid Plan cannot be activated, nor are the statutory powers in force for an assisting agency’s reimbursement, liability and workmen’s compensation coverage. When such cases exist, being a MABAS member agency affords irreplaceable benefits to a stricken community, regardless of where the community is located. As a MABAS member agency, your community has the same agreement as the 1,000 plus and other communities – all agreeing to send pre-determined resources, without reservation, to assist a stricken community. 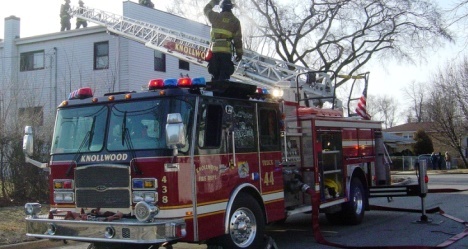 Without a formal written mutual aid agreement (such as MABAS), a request for mutual aid assistance becomes a voluntary act, putting the Fire Chief and his employing community who might send the resource, at great risk should equipment be damaged, or a firefighter is injured or killed in the line of duty. 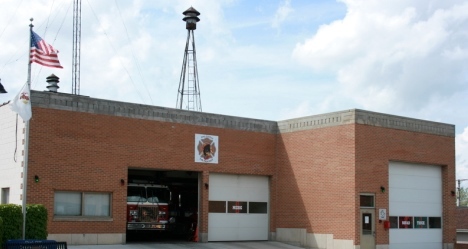 MABAS has been activated on several occasions by Illinois Emergency Management Agency for emergency declarations since the January 16, 2001 Memorandum of Understanding was signed. The responses include; Tamara train derailment, Roanoke tornado, Utica tornado disaster, and Hurricane Katrina Louisiana response and recovery effort through an EMAC activation. An example of a routine MABAS activation was the City of Chicago’s LaSalle Bank Building Fire, where twenty-two (22) suburban fire agencies filled in at City of Chicago fire stations to maintain continuity of emergency service to various Chicago neighborhoods. To become a MABAS Division/agency, all that is required is a resolution or ordinance being enacted by the governing body and signing of the MABAS contract. Most MABAS agencies are comprised of a number of geographically co-located municipalities or districts. However, one community can also be its own MABAS division such as the City of Chicago, which is MABAS Division 9. Some MABAS divisions have nearly 30 member departments or districts. All it takes is discussion, agreement and political commitment. There is no cost to join MABAS, however once joining MABAS an annual dues requirement exists on a sliding schedule based on a member departments annual operating budget. Local MABAS Division dues may be self-imposed by and at the control of each individual MABAS division. The MABAS Executive Board meets quarterly and functions as a coordinating agency.